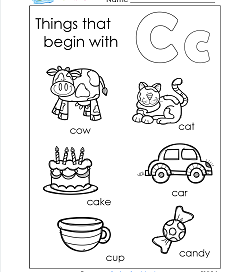 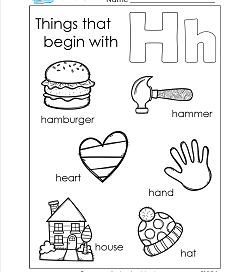 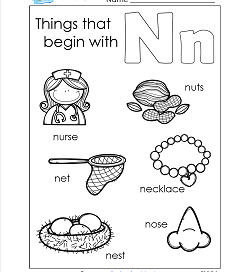 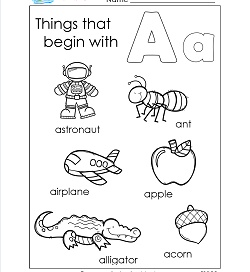 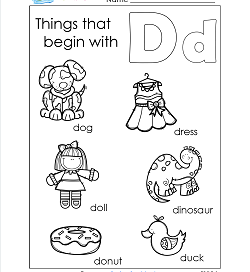 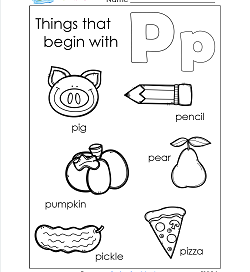 Have fun with this worksheet of things starting with the letter d. You’ll find a dog, dinosaur, duck, doll, dress and donut to read and color. 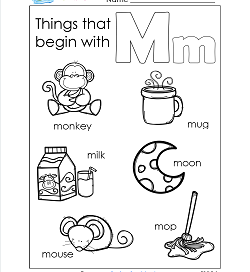 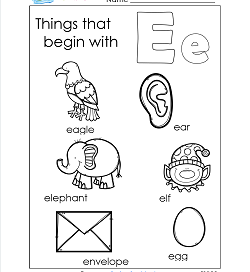 Circle the beginning d.
Here’s 6 things that begin with e: elephant, eagle, elf, egg, ear, and envelope and they’re all on this worksheet! 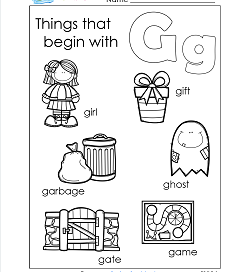 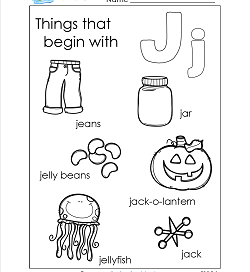 Read the words making sure to notice the beginning e.
Here’s a worksheet with pictures of words that start with the letter j: jeans, jar, jellyfish, jelly beans, a jack, and a jack-o-lantrn. 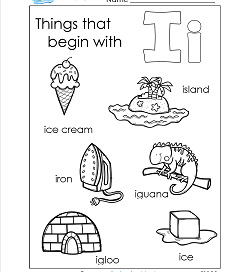 Say the word, circle the letter j and color the pictures. 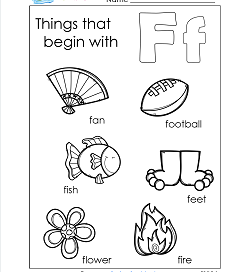 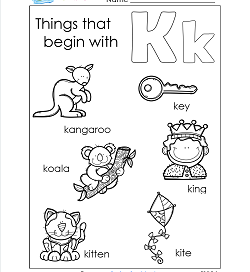 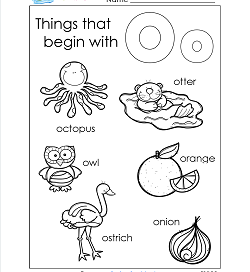 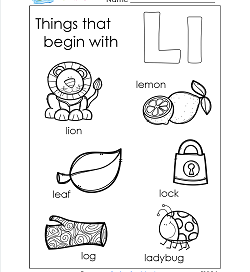 Here’s an awesome worksheet with six objects that begin with l. They are lion, lock, leaf, lemon, log, & ladybug. 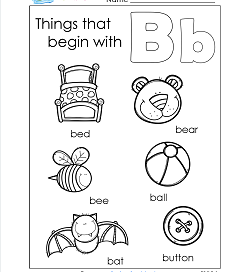 Kids say the words, circle the l, and color.